Shonen Knife is an all-female Japanese pop punk band formed in Osaka, in 1981. Heavily influenced by 1960s girl groups, pop bands, The Beach Boys, and early punk rock bands, such as the Ramones, the trio crafts stripped-down songs with simplistic lyrics sung both in Japanese and English. ﻿Pinky Doodle Poodle is a high energy, female fronted rock band from Tokyo, Japan formed in 2008. PDPS first full length LP was recorded in the US with producer / Goo Goo Dolls member Robby Takac, the 10 song self-titled album was released in the Fall of 2014. PDP's newest release "Inside is Out" was released in October of 2015 with 10 new tracks including a cover of The MC5s "Kick Out The Jams". The album release was followed by a limited engagement US tour through the NE and Mid Western USA. ﻿Molice are a modern Japanese band who draw inspiration from 70's punk's DIYspirit, 80's new wave and power pop and 90's unchained indies guitar rock. Now in 2014 MOLICE is back delivering another collection of Lo-Fi Sci-Fi Love with a new album called "Resonance Love ". DJ Sashimi is a DJ/singer born and raised in Tokyo, Japan. 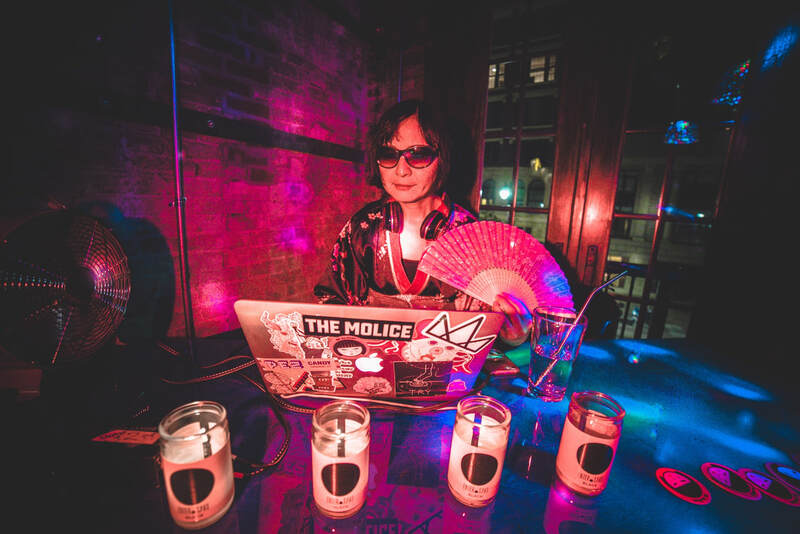 ​DJ Sashimi has performed at The Music is Art Festival in Buffalo as well as with Shonen Knife and CJ Ramone at Le Poisson Rouge in NYC, Brooklyn Sakura Matsuri, and grand opening party at Misuta Chow's.